Let us assist you in finding the right conservation program to meet your personal habitat and land use goals. As the nation’s leading upland wildlife habitat conservation organization, Pheasants Forever is working with farmers, ranchers, landowners, and natural resource agencies to accomplish its mission. To date, Pheasants Forever has impacted over 5 million acres in Nebraska through private land conservation programs, chapter projects, and partnerships. Contact us to schedule a field visit or to discuss enrollment opportunities. Read on to learn more about conservation programs in Nebraska. The United States Department of Agriculture (USDA) oversees a number of voluntary conservation-related programs. These programs work to benefit a large number of farming and ranching related conservation issues including wildlife habitat. Farm Bill Wildlife Biologists and Coordinating Wildlife Biologists work directly with these programs and are available to help walk you through the sign-up process. Originally established in 1985, Conservation Reserve Program (CRP), offers annual payments through 10-15 year contracts to participants who establish grass, shrubs, and tree cover on environmentally sensitive lands. CRP is the nation’s most successful conservation program, improving soil, water, and wildlife resources, while providing important financial payments to farmers and landowners. According to the U.S. Department of Agriculture (USDA), CRP payments average $4,455 per farm annually. 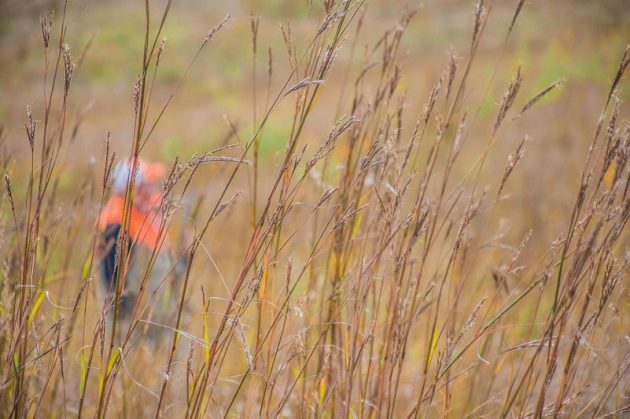 In addition, CRP lands contribute at least $4.7 billion annually from hunting expenditures, much of which support rural communities across the nation. Such efforts benefit landowners and wildlife alike. There are approximately 700,000 CRP acres under contract in Nebraska. Under continuous CRP signup, environmentally sensitive land devoted to certain conservation practices can be enrolled in CRP at any time. Offers are automatically accepted provided the land and producer meet certain eligibility requirements and the enrollment levels do not exceed the statutory cap. Unlike CRP enrollments under general CRP signups or CRP Grasslands, offers for continuous enrollment are not subject to competitive bidding during specific periods. A look at the history of USDA’s The Conservation Reserve Program and how the program has played a major role in helping improve the lands, soil and water quality throughout the years. SAFE practices provide the flexibility to meet the specific needs of high-value wildlife species in a participating state or region. 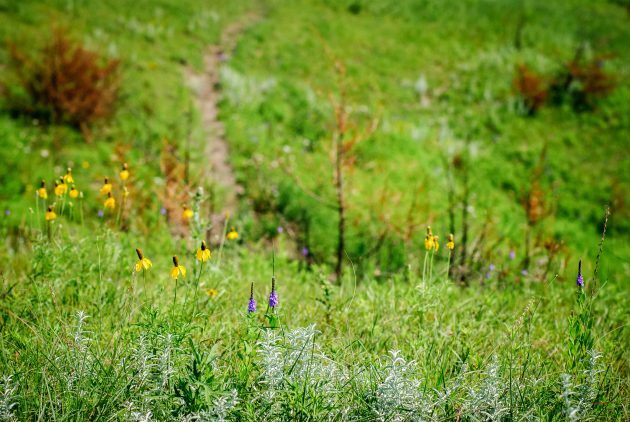 Conservation practices currently offered under CRP are fine-tuned through SAFE to improve, connect or create higher-quality habitat to promote healthier ecosystems in areas identified as essential to effective management of high-priority species. USDA’s goal is to restore or enhance 500,000 acres of wildlife habitat. The goal of this project is to enroll 20,000 acres of CRP in Nebraka and Kansas to improve habitat for migrating and wintering waterfowl, shorebirds, and water birds by restoring playa lakes. The goal of the Nebraska Tallgrass SAFE project is to enroll 28,850 acres to expand habitat in the Nebraska tallgrass prairie region for greater prairie chickens. 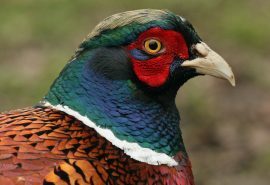 including northern bobwhite quail and ring-necked pheasant. The Environmental Quality Incentives Program (EQIP) is a voluntary conservation program that helps agricultural producers promote agricultural production and environmental quality as compatible goals. By participating in EQIP, agricultural producers receive financial and technical assistance to implement structural and management conservation practices that optimize environmental benefits on working agricultural land. EQIP applications are accepted on a continuous basis, however, NRCS establishes application “cut-off” or submission deadline dates for evaluation, ranking and approval of eligible applications. The Conservation Stewardship Program (CSP) is the largest conservation program in the United States. Through CSP, producers earn payments for actively managing, maintaining, and expanding conservation activities like cover crops, rotational grazing, ecologically-based pest management, buffer strips, and pollinator and beneficial insect habitat – all while maintaining active agricultural production on their land. CSP contracts are for five years, with the option to renew for another five years. If you are already taking steps to improve the condition of the land, chances are CSP can help you find new ways to meet your goals. CSP enhancements help producers go above and beyond the minimum conservation practice standard requirements to achieve a higher level of conservation. Whether you are interested in upland wildlife or pollinator habitat, conservation planners work one-on-one with CSP applicants to select enhancements that best fit their management goals and that will address resource concerns on the enrolled operation. Coordinating Wildlife Biologist, Jenny Prenosil, works in joint capacity with Pheasants Forever and conservation partners to coordinate the delivery of the wildlife-friendly precision agriculture practices through CSP, EQIP and Farm Bill programs. Through Working Lands for Wildlife (WLFW), NRCS works with partners and private landowners to focus voluntary conservation of working landscapes using target species as the barometers for success. Target species, such as the Lesser Prairie-chicken and Monarch butterfly, are used because their habitat needs are representative of healthy, functioning landscapes where conservation efforts benefit a much broader suite of species. Through the Sandhills Project, a state-identified priority, Nebraska landowners are helping restore the Sandhills landscape by improving rangeland health through prescribed grazing, prescribed burning, and eastern redcedar control. Improved forage for livestock and habitat for grassland wildlife is a win-win outcome. NRCS offers technical and financial assistance through EQIP to help landowners improve the health of rangelands. This assistance helps producers plan and implement a variety of conservation activities, or practices, that benefit the landscape and many of the game and non-game species that depend on it. The conversion of rangelands to cultivated crops and the spread of invasives like redcedar are causing habitat loss and fragmentation throughout the Sandhills. To reverse the loss and fragmentation of habitat, NRCS is working with agricultural producers to improve the health of rangelands and to remove invading redcedar trees. Created by the 2014 Farm Bill, the Regional Conservation Partnership (RCPP) is a partner-driver, locally-led approach to conservation. Projects are leading to cleaner and more abundant water, better soil and air quality, enhanced wildlife habitat, more resilient and productive agricultural lands and stronger rural economies. In Nebraska,the lack of sufficient water, frequent drought and soil erosion cause significant impacts to yields and producers’ bottom lines. Similarly, vanishing habitat and increasingly intensive agricultural practices create struggles for wildlife. The Cropland Cover for Soil Health and Wildlife initiative encourages producers to plant diverse, wildlife-friendly cover crops and to leave tall stubble standing in fields. The project partners will implement EQIP practices to provide soil and water quality benefits while also enhancing valuable habitat for grassland birds including at-risk species and pollinators like honey bees and monarchs. The initiative is a partnership between the Natural Resources Conservation Service, Nebraska Game and Parks Commission, Pheasants Forever, Quail Forever and Nebraska Environmental Trust. Nebraska has a variety of conservation programs vital to supporting our habitat mission thanks to the hard work and dedication of biologists, chapter members, and partners. Most importantly, thank you to the program participants who improve habitat and increase public access. Photo courtesy of the Nebraska Game and Parks Commission. The mission of The Berggren Plan is to produce the best pheasant hunting experience for the most people over the next five years. 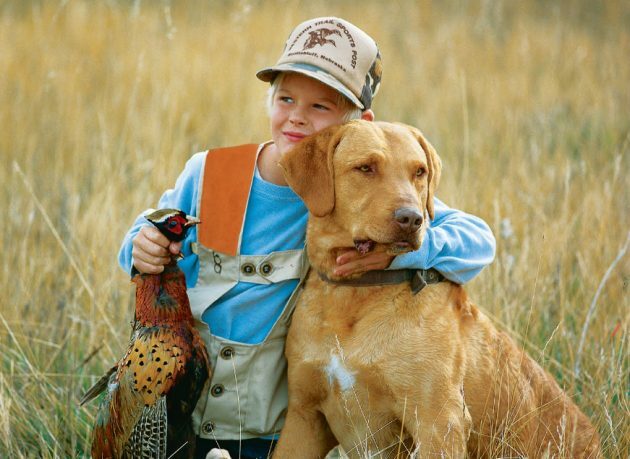 The plan considers all manageable aspects of the pheasant hunting experience, with habitat and hunter access (particularly for youth) as project cornerstones. 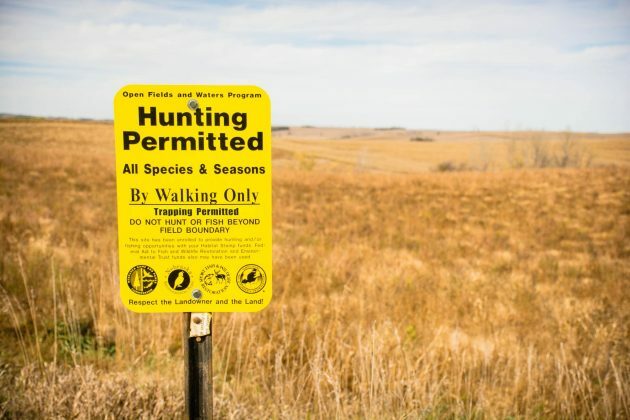 The Nebraska Game and Parks Commission, Pheasants Forever, and other conservation partners are focusing their efforts where it will be most effective (i.e., where habitat, hunter access, and community support come together) based on sound science. Habitat and hunter access goals will be concentrated in eight pheasant opportunity areas (POA) within Nebraska. 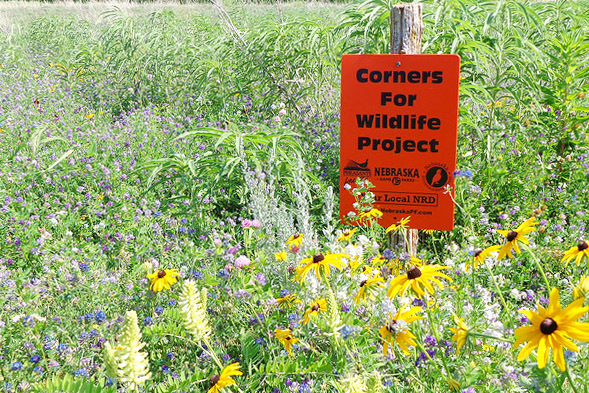 Corners For Wildlife (CFW) is a program unique to Nebraska that establishes permanent wildlife habitat on center pivot irrigation corners. Landowners enrolling in Corners for Wildlife receive 75% cost-share assistance from Pheasants and Quail Forever chapters for the cost of seed and wildlife shrubs and a 5-year rental payment of up to $100 per acre each year, depending on the cover practice selected. NET and NGPC funds are applied solely to pay for landowner rental payments. The participating NRD plants the trees for free when the landowner selects 400 or more trees or shrubs for the project. Corners for Wildlife is driven by funding and commitment from local Pheasants Forever chapters, the Nebraska Environmental Trust (NET), Nebraska Game & Parks Commission (NGPC) and local Natural Resource Districts (NRDs). To date, this program has been awarded grants from the NET totaling $4,627,000. Enrolled a total of 1,885 corners across the state. Planted 646,441 trees and shrubs. Created 12,547.96 acres of nesting cover. Worked with 17 participating Natural Resource Districts. If you are interested in enrolling in the Corners for Wildlife Program, fill out the CFW Notice of Interest form and mail it to the address listed. In intensively farmed areas, these corners may be the only habitat that exists for ring-necked pheasants, northern bobwhite quail, and other grassland birds. 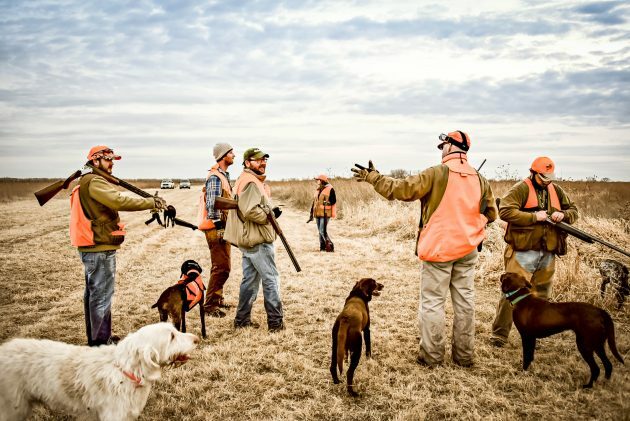 Habitat Share is a unique partnership between Pheasants Forever, Inc., the Nebraska Game and Parks Commission and the Nebraska Environmental Trust. The program is designed to increase the opportunity to improve habitat on public land. 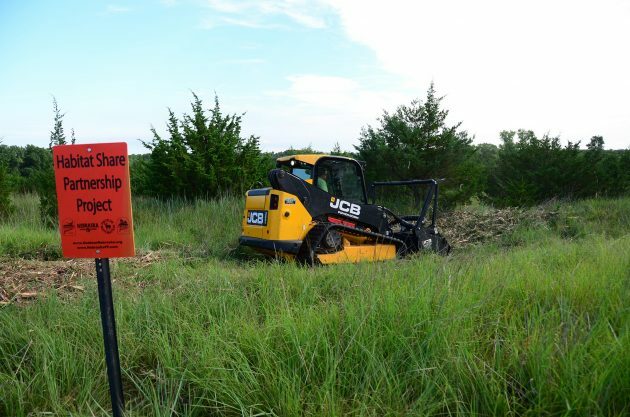 Projects occur on Wildlife Management Areas across the state through the work of contractors. Projects and specifications are sent out to contractors in a Request for Proposal (RFP). Since 2010, the Habitat Share Program has impacted 28,149.3 acres of habitat on Wildlife Management Areas in Nebraska. Through this partnership, we have spent over $3.56 million on habitat improvements increasing public hunting opportunities around the state. To receive program information for contracting services, please visit our contractor page or send your contact information including an email address to asnelson@pheasantsforever.org or call 308-850-8395. Through our Habitat Share Partnership, Pheasants Forever has impacted over 28,000 acres on state Wildlife Management Areas by contracting services such as disking and interseeding, brush removal, and food plot establishment. Landowners will be offered a payment to defer the grazing on pastures for one calendar year when burning & other grassland improvement programs are being performed on the grassland. The program is designed to be used in conjunction with prescribed burns, development of a rotational grazing system, eastern red cedar control & removal, interseeding pastures, & wildlife habitat improvement. 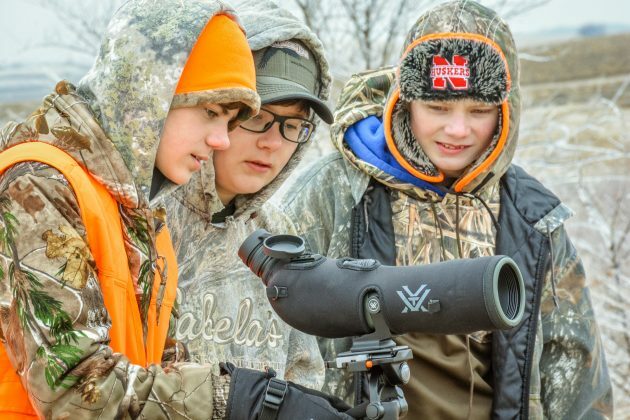 This program is a partnership with Pheasants Forever, Quail Forever, Nebraska Partnership for All-bird conservation, Nebraska Environmental Trust and the Nebraska Game & Parks Commission. 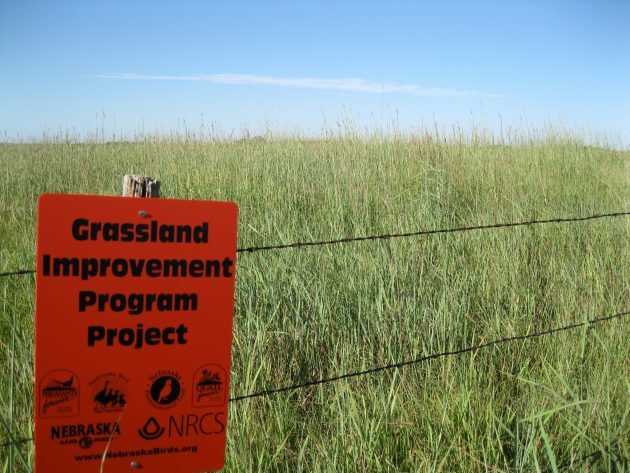 The Grassland Improvement Program is designed to improve the health and diversity of grasslands by using practices such as deferred grazing and prescribed burning. In 2009, the Nebraska Game and Parks Commission (NGPC) and Nebraska Pheasants Forever initiated the Open Fields and Waters (OFW) program to increase public access opportunities on private lands. OFW is a voluntary program that offers financial incentives to landowners willing to allow public walk-in access for hunting, trapping, and/or fishing. Today, there are 700-plus landowners in Nebraska who provide public access opportunities on over 250,000 land acres, 600 acres of ponds/lakes, and 41 stream miles. Conservation Reserve Program (CRP) fields and other undisturbed grasslands are ideal for OFW, but other habitat types that provide high-quality hunting/angling opportunities also are considered: wetlands, woodlands, unfarmed draws or pockets, tall wheat and milo stubble, ponds, cool and warm-water streams, etc. Currently, OFW enrollments are being targeted within eight priority areas identified in the NGPC’s Berggren Plan – a five-year initiative aimed at improving the pheasant hunting experience in Nebraska. Properties outside of these priority areas will also be considered for enrollment dependent upon funding.